There are many skin care products and brands to choose from, and it can be difficult to determine which products are safe and effective to use. 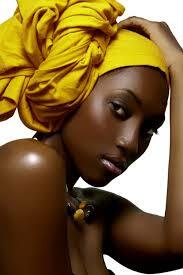 Choosing the right natural skin care product is essential, especially if you want beautiful black skin. Natural skin care products can help people with dark skin avoid skin problems such as dark spots, hyperpigmentation, and uneven skin tone. 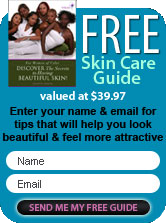 If you�re looking for a natural skin care product, you might go to a health food store or look online. But, it is important to understand that the marketing of many of the products can be deceiving. The product may make claims about being "natural" which leads you to believe that it is a high quality product. But, the truth is that the "natural" label can be confusing, because there is technically no standard that must be followed if "natural" is used on the label of cosmetics, skin care products, or other beauty products. So, the product may contain chemical based ingredients or other ingredients that may dry out your skin or cause other skin problems. So, in order to make a good decision about the products that you are using, it is best to look at the individual ingredients that are in the bottle. Additionally, it can be beneficial to learn more about what product labels mean, so that you can look at any bottle and understand what is really inside. Simply put, natural skin care is the practice of using products that contain ingredients in their natural form. Ingredients should include anything that naturally grows as a plant. These types of products should avoid chemical or artificial ingredients, or anything that is made in a laboratory. There are many plant extracts and other ingredients that come from nature which can be very beneficial for skin health. Why Do Natural Ingredients Matter? Your skin is the largest organ on your body, and many of you don't realize that products placed on your skin are literally absorbed into your body and assimilated into your blood stream. Anytime you rub something on your skin, stop for a moment to question whether it is a problem for those ingredients to be in your body. For example, would you want to ingest products with chemicals or other unnatural ingredients? Probably not. So, it's best to avoid putting those types of products on your skin. Some of you don't pay attention to the ingredients of your skin care products, because you are more concerned about whether or not the product will help you lighten and brighten your skin. But, the truth is that an unnatural skin care product may work initially, and still be potentially dangerous to your skin in the long run. One example is that some cleansers claim to be effective at reducing acne outbreaks. Initially, these products may help to reduce the number of pimples that you experience, but the chemicals may cause your skin to dry out eventually and result in more outbreaks later on. If your skin oils are stripped, then the natural function of the skin may cause your skin to produce even more oil to try to compensate for the dryness that is occurring. Even if the dryness is not visible on the surface of your skin, the chemicals from your skin or product may affect the deeper layers of your skin. Over time, the chemical ingredients may have a negative impact on the overall balance of your skin, and result in the need to use stronger and harsher products in order to achieve good results. On the other hand, natural ingredients work along with your body, and they are nourishing your skin from the outside-in and the inside-out. Natural ingredients contain antioxidants and micro-nutrients which encourage balance and healthy cell development within your skin. Natural ingredients allow you to achieve true skin health, which is beautiful and radiant. Using natural skin care products for African American Skin is especially important, because it can be more prone to dark spots and uneven skin tones. An unnatural skin care product may cause the dark spots to worsen, or it may cause your skin to become irritated which might in turn cause additional dark spots to appear. Many people with ethnic skin are concerned about dark spots and uneven skin tone, and those problems can be overcome by using the right natural ingredients. But, if chemical-based ingredients are used, they may cause your skin tone to worsen because the dark spots may become darker and the light spots may become lighter. Instead of simply looking for any product to "get the job done," it is better to focus on the quality of the skin care products that you are using. Don't be fooled into thinking that only unnatural products will help you have beautiful skin... remember that the marketing claims can be deceiving. The truth is that there are natural ingredients that are good for your skin, and they are effective at creating the beautiful and healthy skin that you desire. These natural ingredients may help to reduce the signs of aging, and slow down the appearance of dark spots and sagging skin. A natural ingredient is something that grows in nature, it is not artificially manufactured in a laboratory. Organic ingredients also grow in nature, but they are distinguished by the fact that they are free of pesticides or other harmful chemicals that are sometimes used to grow crops. The USDA has put forth guidelines about organic products, and in order for the label to say "certified organic" then 95% of the product must contain organic ingredients. In order for the label to say "made with organic ingredients," then 70% of the product must contain organic ingredients. The tricky thing is the fact that it might consist mostly of organic ingredients, but still contain other unnatural ingredients. As discussed earlier, the "natural" label may not contain very many natural ingredients. It might happen that 1% of the product is a natural ingredient, and the rest is man-made. So, it is best to look at the specific ingredients that are included in the bottle in order to determine if they are ingredients that you want to be using on your skin. Are Natural and Organic Products a Trend or Do They Actually Work? Some people may consider natural and organic ingredients to be a fad or a trend, however people are using them because they actually work-- they aren't just a trend. In general, you are becoming more aware of the types of products that you are using, and how those products affect your health, and you are realizing that natural products can make a big difference in the results that are achieved. But, just because there are many natural and organic products out there, is it worth spending the money on them? Will they really work to help with skin health? The short answer is: Yes. Keep in mind that your body has built-in features to help you stay healthy, including the ability to generate new cells and get rid of dead cells. Natural ingredients work in harmony with the natural functions of your body, helping it to be more effective with the functions that are being performed. On the other hand, unnatural or chemical-based ingredients work against the natural functions of your body, and can cause even more problems in the long run. Is It Better To Stick With Natural Ingredients When Caring for Black Skin? Of course it�s better to stick with natural ingredients, because they allow you to focus on true health. Because there are natural ingredients that can help your skin to be clear and radiant, wouldn't it make sense that you should choose the natural ingredients over chemical ingredients? The natural ingredients allow you to get to the root problem that is causing your skin issues, whereas chemical-based products are only treating the surface issues in a unnatural way.